​​Lachlan Etherton, an Adelaide based start-up founder is an innovative youth. He is now leading a team of adults to develop and produce getmoova, a smart wrist device to get primary school children physically active. Beginning at GovHack in 2015, an open data weekend long competition, Lachlan has become indulged in the sector, being successful in the following years of GovHack, the D3 Digital Challenge and the Questacon Invention Convention. He also won Startup Weekend, winning both 2nd Prize and Peoples’ Choice and has completed the Venture Dorm course run by Flinders University. 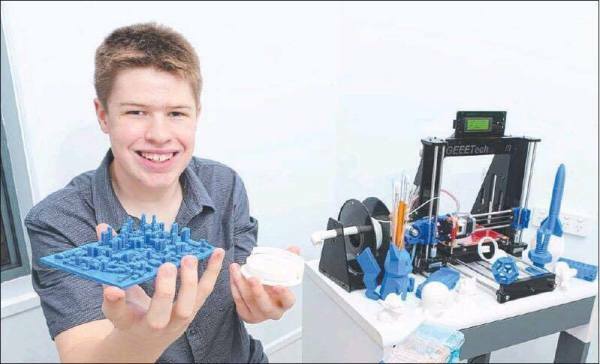 From teaching himself how to code to using geographic information systems to building his own 3D printer, it shows that no matter who you are, you can do something if you put your mind to it. He believes that people cannot wait for someone to teach them something, they have got to get out there and do it themselves and this is demonstrated through his determination to learn how to develop the getmoova product whilst working on his business.